Afghan President Hamid Karzai is in the Russian capital where he is holding talks with President Dmitry Medvedev over ways of strengthening bilateral relations between the two historically linked nations. While most people seem to only remember the nine-year Afghan-Soviet War (Dec.1979-Feb.1989) whenever the subject of Afghan-Russian history is broached, Karzai and Medvedev reminded their audience that there are many other more positive moments in their country’s lengthy history that deserve more attention. And it is on the back of this shared history that the two leaders are looking forward to building their renewed partnership. Karzai kicked off his trip to Russia on Friday morning with a visit to the Diplomatic Academy of the Foreign Ministry, where it became immediately apparent that Afghanistan is serious about building solid relations with Russia. "We consider Russia to be a great political, economic and military power," the Afghan president said, while reminding his audience that Afghanistan and Russia have “deep historical and economic roots that go back to the 19th Century,” which makes bilateral cooperation seem like a natural prospect between the two nations. 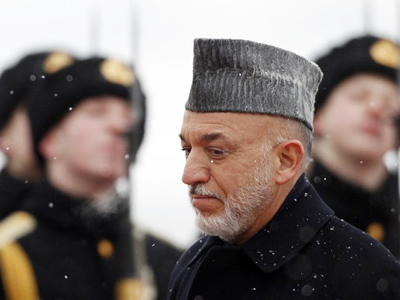 Karzai acknowledged that mutual trade between Afghanistan and Russia last year approached half-a-billion dollars. In other words, Kabul, as well as Moscow, understands the value of business cooperation. "Afghanistan is…interested in attracting Russian business to the country,” the Afghan leader said. “In particular, investments in infrastructural projects." Afghanistan received a massive influx of investment in the days of the Soviet Union, with the construction of over 100 factories and energy plants across the country. The Soviet government also provided the communist regime in Kabul with military equipment to the tune of over $10 billion dollars, which Moscow officially cancelled in 2007. President Dmitry Medvedev, who also emphasized the historical link between the two nations, assured Karzai that Russia is prepared to expand cooperation with Afghanistan in various areas. "We would like to increase the Russian presence in Afghanistan one way or another, the more so since historical economic cooperation ties between Russia, the Soviet Union at one time and Afghanistan were very powerful," Medvedev said. "It is a positive trend which we must maintain." Medvedev then spoke about various projects in the energy sector where “Russian-Afghan cooperation potential holds much promise,” he said, while mentioning Russia’s assistance in upgrading the hydropower plant Noglu, as well as the construction of power plants in out-of-the-way Afghan districts, he added. The Russian president also mentioned Russia’s plans to cooperate in the construction of new hydropower plants in other Afghan provinces, as well as joint reconstruction of several facilities, including the tunnel on the Salang mountain pass, a potassium fertilizer facility and a thermal power plant in Mazar-i-Sharif. On the security front, Medvedev said that Russia looks forward to Afghanistan being able to ensure its own security after foreign troops leave, which is expected to take place in 2014. "We shall see what will happen after 2014 when Afghanistan will already be providing for its own security," Medvedev said, while adding that Russia was monitoring the international mission in Afghanistan closely. "Certainly, we are watching very closely what is going on in Afghanistan, with the international operation and what the Americans are doing. 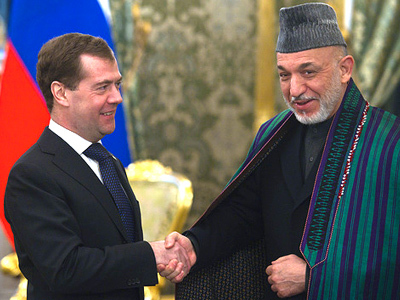 Today I told [President Karzai] that we wish him success in this mission," Medvedev said. Although Russia declined to send its troops into Afghanistan, it did agree to open an air corridor into the country for US military cargo deliveries after Uzbekistan evicted US troops from its territory in 2005. Russia has also supplied Afghanistan with an array of military weapons, including the Mi-17 helicopter, which is a twin-turbine transport helicopter that also serves as a gunship. Russia also agreed to supply the Afghan Ministry of Interior with 20,000 AK-47 rifles, together with two million cartridges for the Afghan weapon of choice. In his interview with RT, President Karzai explained why Afghanistan needs the presence of the international community, including Russia, in his embattled Central Asian nation. President Medvedev responded to this appeal, saying that Russia would continue to fulfill its obligations. "We plan to continue fulfilling our obligations linked to support for Afghanistan," Medvedev said. "Russia would like to see its close neighbor…as an independent and prosperous state with effective government institutions." 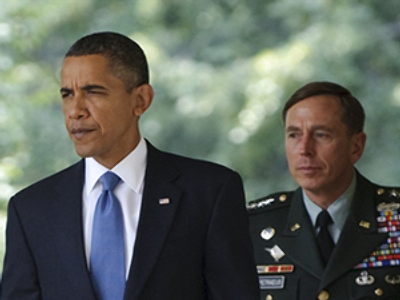 The two leaders then addressed a subject that is of dire consequence to both: Afghanistan’s huge export of opium poppy, a plant that is used to make heroin. It has been estimated that over 300,000 Russians die each year from heroin use. 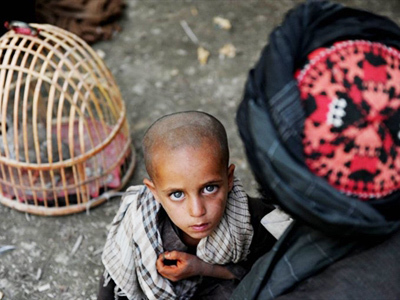 In the face of this grim statistic, The UN has warned that an increase in opium prices could make growing the crop a more attractive option to Afghan farmers this year, thereby offsetting the small gains made to fight this deadly export. The UN Office on Drugs and Crime (UNODC) reports in its "Afghanistan Opium Survey” released Thursday that despite a 48 per cent drop in opium production in 2010… the average price of dry opium at harvest time was $169 per kilogram, a jump of 164 per cent from 2009. "Dmitry Medvedev and Hamid Karzai agreed to continue special operations to destroy drug laboratories in Afghanistan," said Viktor Ivanov, head of Russia's Federal Drug Control Agency (FSKN). "Such operations will continue. Presidents Medvedev and Karzai have reaffirmed their commitment to this area of work and willingness to conduct such operations further," he told journalists following talks on the sidelines of Friday's presidential meeting. The operations are carried out by emergency units from the Afghan Interior Ministry's center for countering drugs, the FSKN and the US anti-drug authority which has about a hundred specialist officers in Afghanistan, Ivanov said. The two leaders told the joint press conference that fighting the production and exportation of heroin is a top priority. Karzai, in response to a question on the subject, admitted that battling the drug is an “international problem” due to the power of the local drug lords who use all means at their disposal to protect their flourishing business. Although Russia assists Afghanistan in training specialists, including the police, military, and drug police, Moscow is urging the US military to take stronger action against Afghan farmers who grow the poppy plant. In wrapping up his Russian visit, President Karzai is scheduled to meet with members of the Russian business community, and lay a wreath at the Tomb of the Unknown soldier. The Afghan president’s trip represents the first official state visit to Russia from an Afghan leader in the past 30 years. Clearly, Presidents Karzai and Medvedev have a lot of catching up to do, and they seem to have gotten off to a magnificent start.